Complete the course with at least 75% grade from each lesson and you will be awarded the certificate. You can improve the results from the lessons without restrictions. 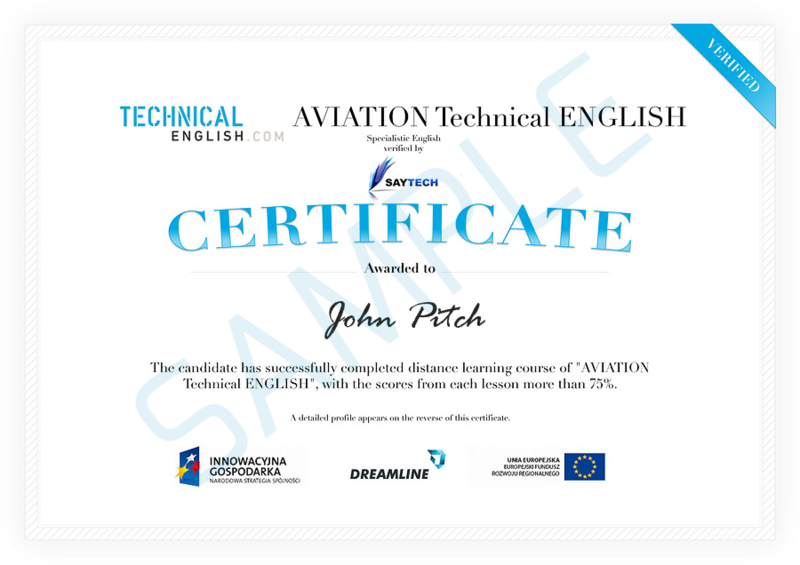 The certificate includes details of your course at the reverse and is fully in English.